Reasons to stay out past bedtime. Above: Get deep into the galaxies at newmexico.org/darkskies. Photography by NMTD. 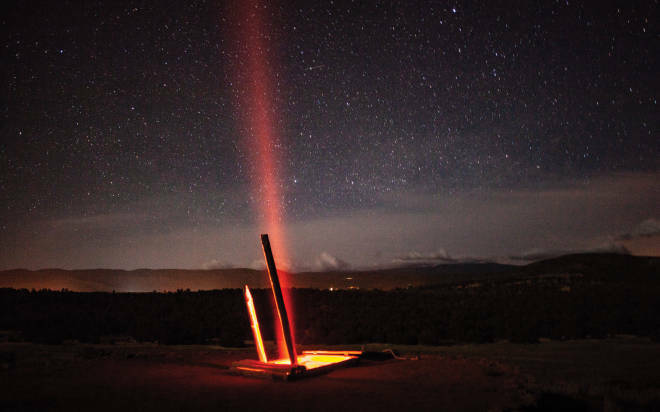 Bandelier National Monument invites you to its Night Sky Fiesta to participate in day and night solar viewing, featuring giant telescopes, a night-sky Ranger program for kids, and guest speakers, October 5-7. El Camino Real de Tierra Adentro National Historic Trail celebrates the 50th anniversary of the National Trail System on October 20 with guided walking tours on authentic paths at Fort Selden Historic Site, where actors bring the past to life during Voices from the Past: Moonlight Tours. The town of Lincoln once had the most dangerous street in America, and that history comes back to life (minus the violence) October 26 with Lincoln after Dark. Guests are welcome to explore the Lincoln Historic Site’s grounds and buildings on a self-guided tour, during which they can interact with costumed historians and storytellers. Fort Stanton after Dark shows off its 163-year history October 27, allowing visitors to venture across the 240-acre fort and meet costumed historians, storytellers, and investigators.